A 6.9-magnitude earthquake shattered homes and lives, displacing more than 84,000 people, according to a disaster agency. 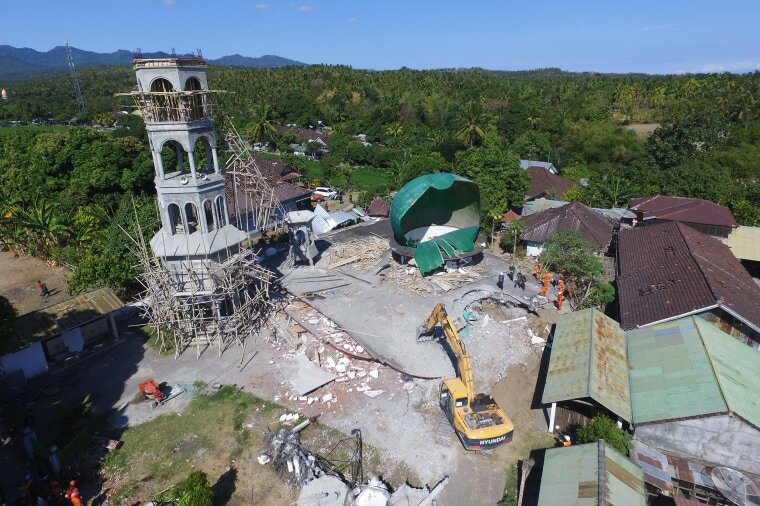 A backhoe works at the scene of the collapsed Jabal Nur mosque in North Lombok, Indonesia on Aug. 7, 2018, after a 6.9 magnitude earthquake struck the Indonesia resort islands of Lombok and Bali on Sunday. A man who narrowly escaped the collapse Sunday evening says there were about 100 people praying inside when the earthquake struck and though many got out, dozens were buried in the rubble. 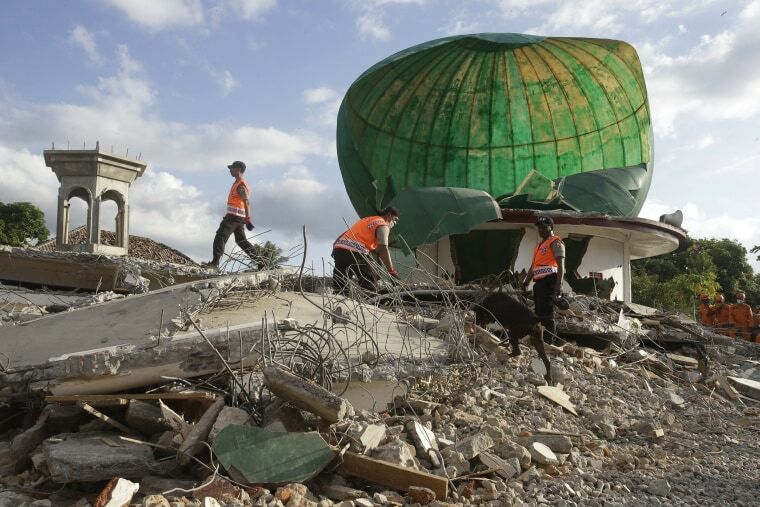 Rescuers with a sniffer dog search for victims at the damaged mosque in North Lombok. People search for their belongings at collapsed houses in Tanjung in Lombok Island. Police and soldiers evacuate a victim at a hospital in Tanjung in Lombok Island. 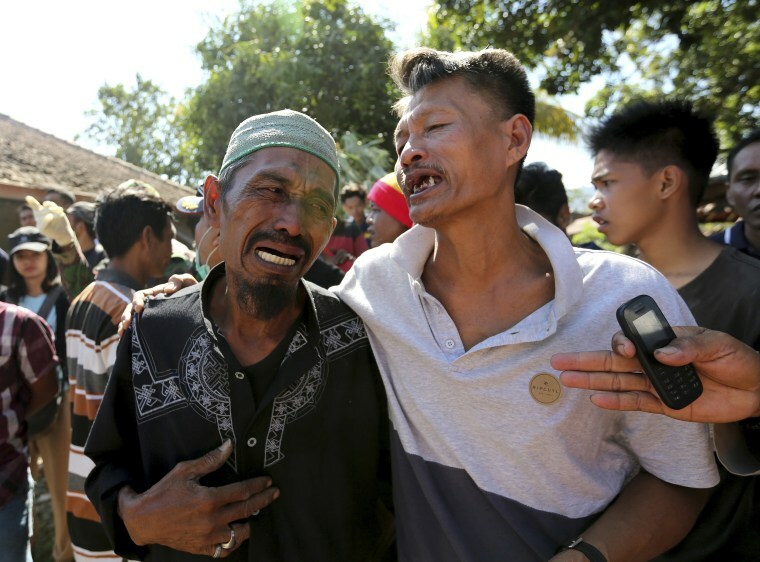 Relatives react as rescue teams recover the bodies of victims in North Lombok. The National Disaster Mitigation Agency says the overall death toll has risen to 105 and will continue to increase. 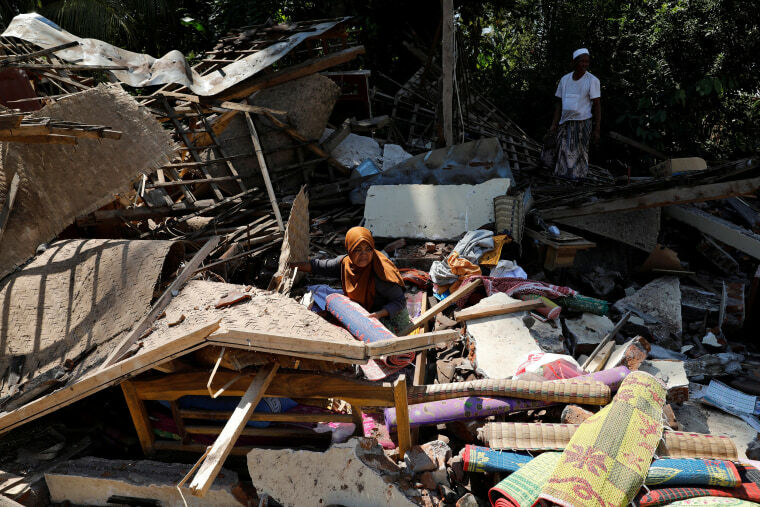 Villagers look for items in the ruins of their house at Kayangan district in North Lombok. 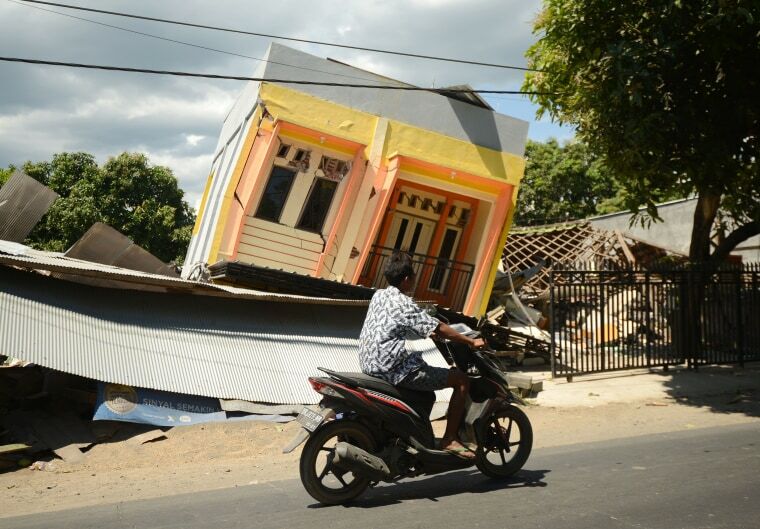 A man rides a motorcycle past a damaged house at Sira village in northern Lombok. 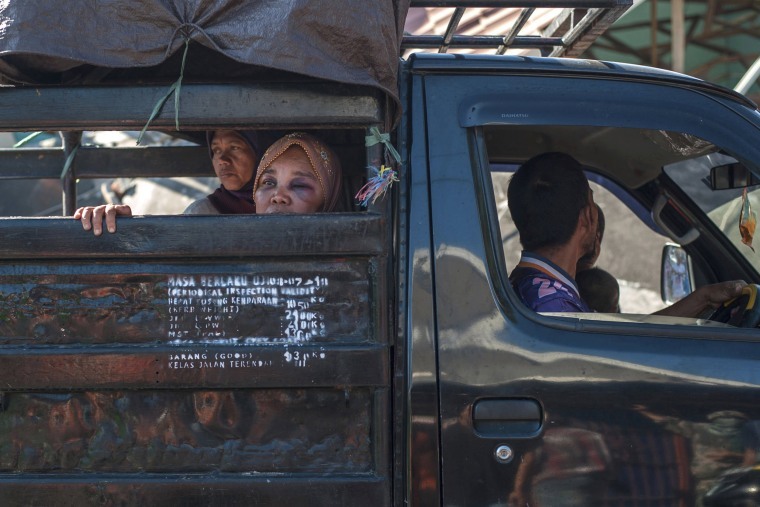 An injured woman looks out of the back of a truck in Tanjung, Lombok Island. 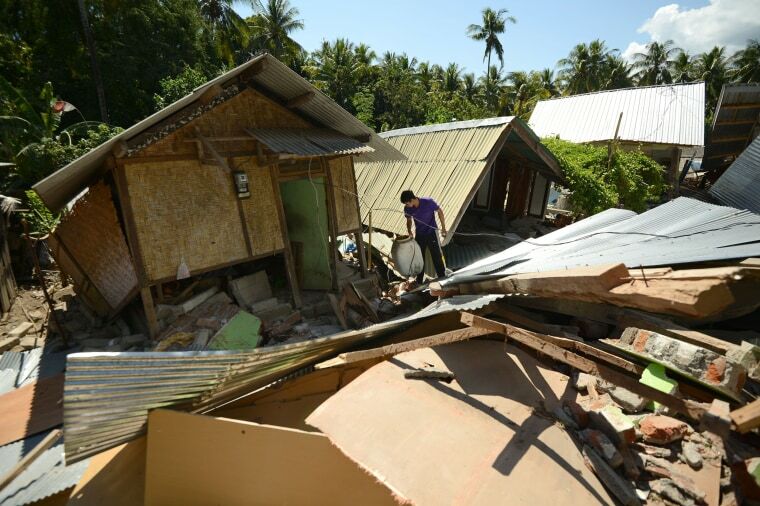 A man looks at items outside damaged homes at Pemenang village in northern Lombok. 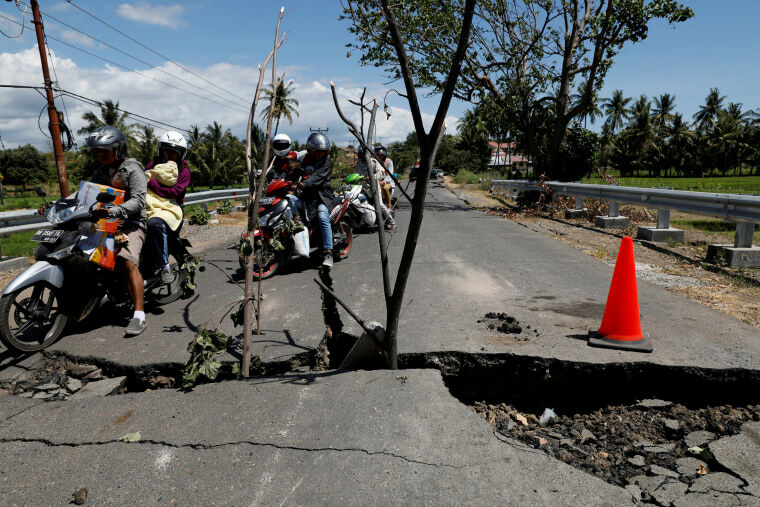 A family rides on a motorcycle through a crack on the street at Kayangan district in North Lombok. 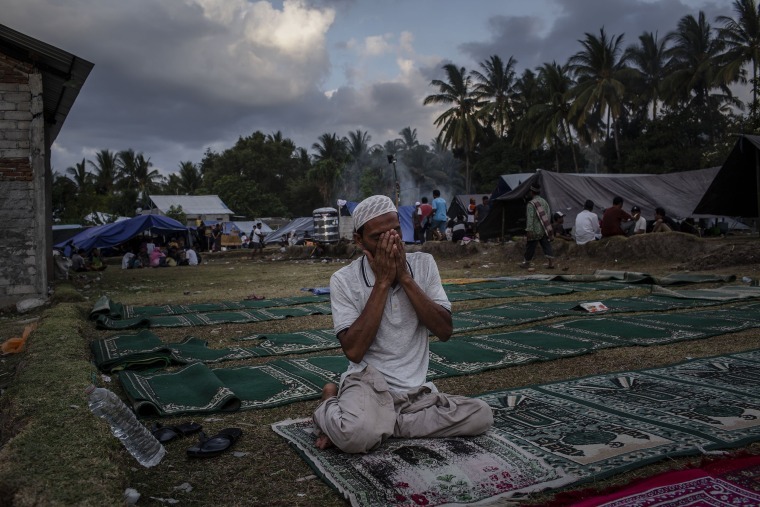 A man prays at a temporary shelter in Pemenang in Lombok Island. 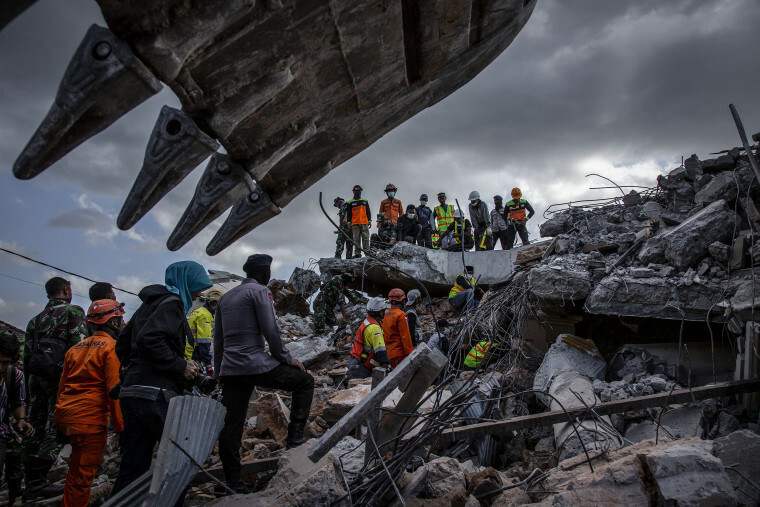 A search and rescue team look for victims at a collapsed mosque in Tanjung, North Lombok, on Aug. 7. 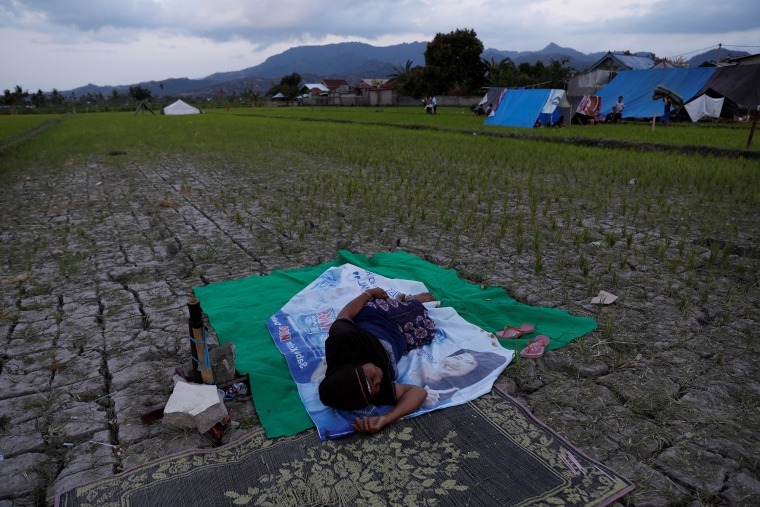 A woman sleeps near her temporary tent near Tanjung hospital in North Lombok. 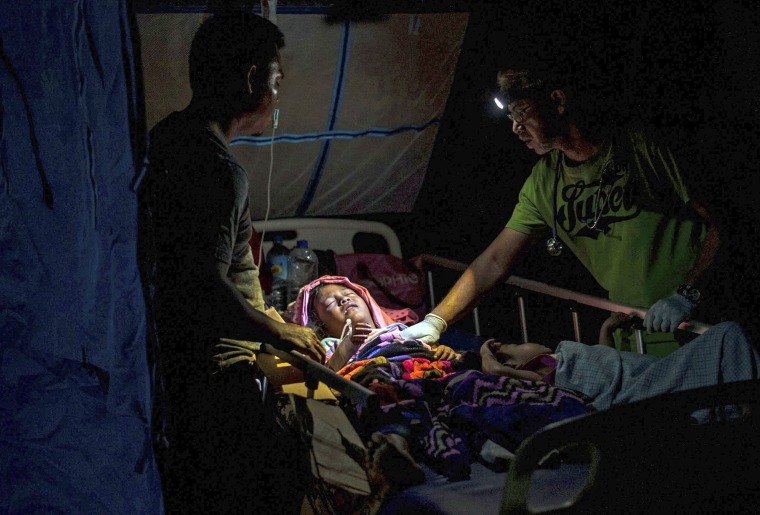 Villagers are treated inside a makeshift hospital in Tanjung, North Lombok. A doctor examines children injured in the earthquake at a makeshift hospital in Tanjung on Lombok Island on Aug. 6. It was the second deadly quake in a week to hit Lombok. 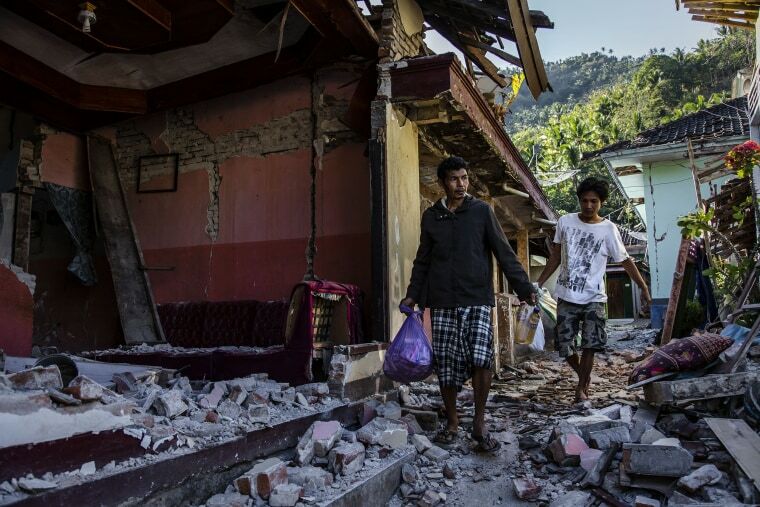 A July 29 quake killed 16 people and damaged hundreds of houses, some of which collapsed in Sunday evening's quake. 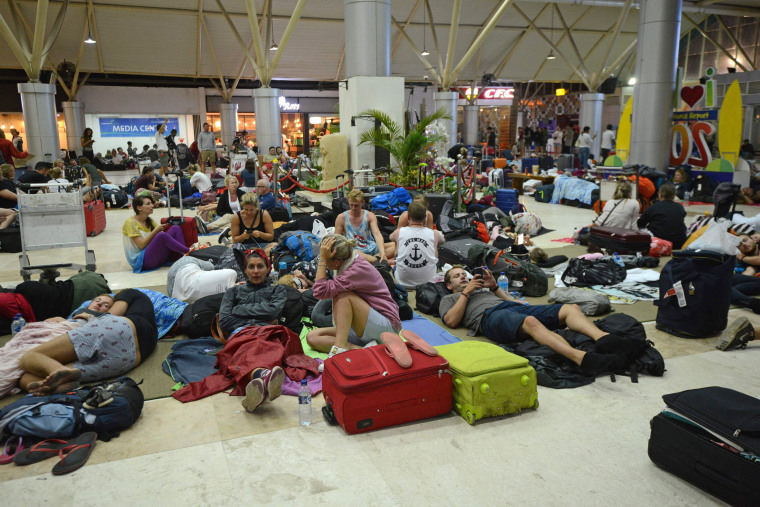 Tourists sleep on the floor as they wait to depart from the Praya Lombok International Airport. 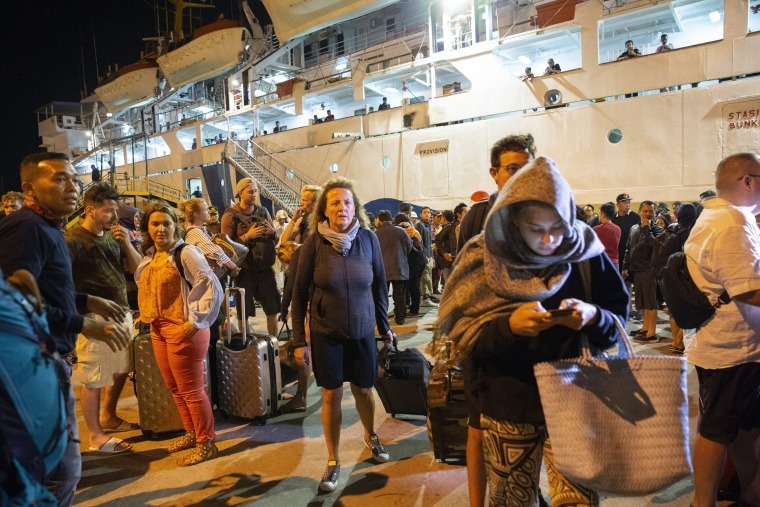 Tourists evacuated from Gili Island off Lombok arrive in Bali. 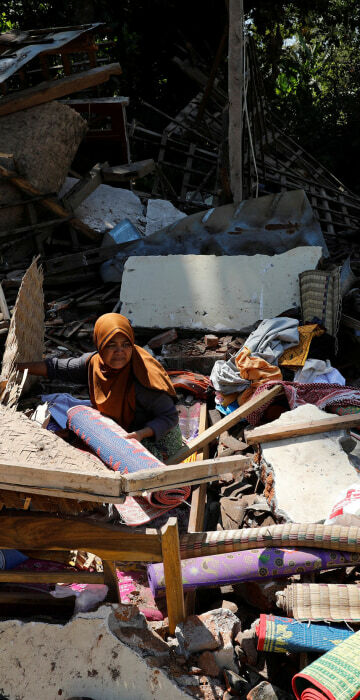 A woman walks past debris from a collapsed wall in Lendang Bajur Hamlet, Lombok. An injured woman walks outside the North Lombok Hospital in Tanjung. Residents search for survivors in the rubble of a collapsed house. Tourists line up on a beach as they wait to be evacuated on Gili Trawangan Island. Tourists struggle to board a boat as they are evacuated to the main island of Lombok from Gili Trawangan Island. 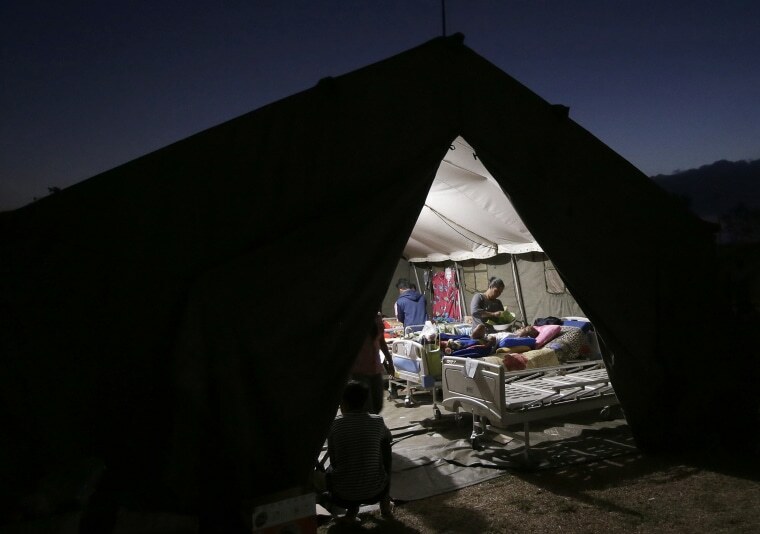 Patients are moved to an emergency tent outside of a hospital in Denpasar, Bali. Patients receive medical help at a makeshift ward set up outside the Moh Ruslan hospital in Mataram, Lombok.